Are you looking for how to wear a thick headband? 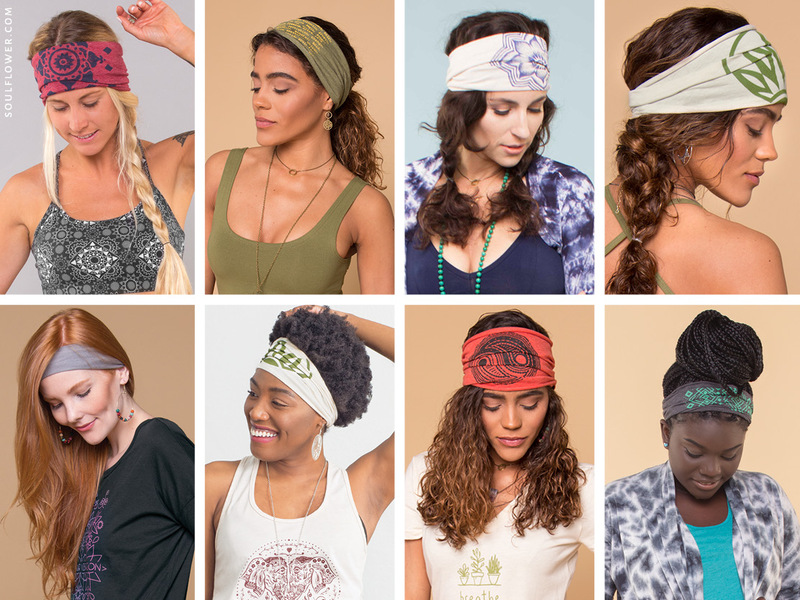 Our headbands are comfy, boho, washable, eco-friendly, but above all — versatile. 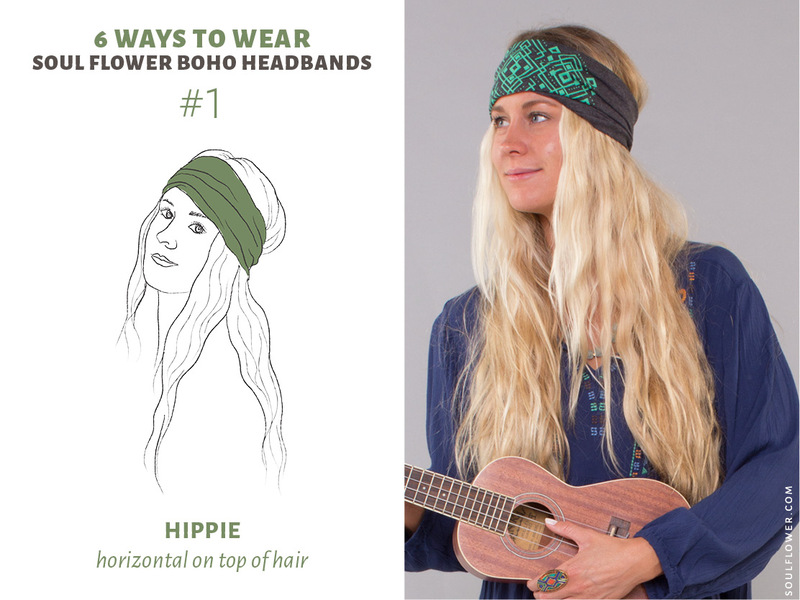 Collect ’em all, because our Boho Headbands can be worn so many ways, you’ll never be bored! Made from 50% organic cotton and 50% recycled plastic (from recycled beverage bottles). Dyed with low impact dyes, sewn in the USA, and screenprinted in Minnesota with hand made original art. What could be better?! 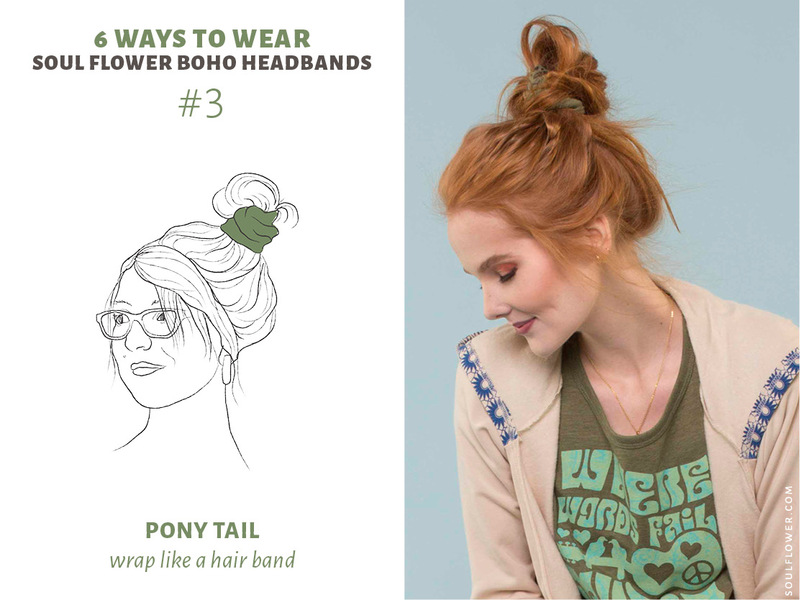 Here are 6 Ways to Wear Thick Headbands- all looks featuring our Soul Flower Boho Headbands. Slip the headband straight down over your head and hair. It should be about horizontal with the ground, straight across your forehead in true hippie style. Slip the headband down all the way to your neck (like a necklace), then hair-flip your hair out of the way so the headband is just on skin. Then pull the front up til it reaches your forehead. It should cover all the roots around your face. Perfect for not-so-clean hair days and to catch sweat. Use headband as a scrunchie/hair band and twist it to secure your hair into a ponytail or messy bun. If it’s too loose, use a regular hair tie first, then use the headband for a little more support. Handkerchief + neck = neckerchief. 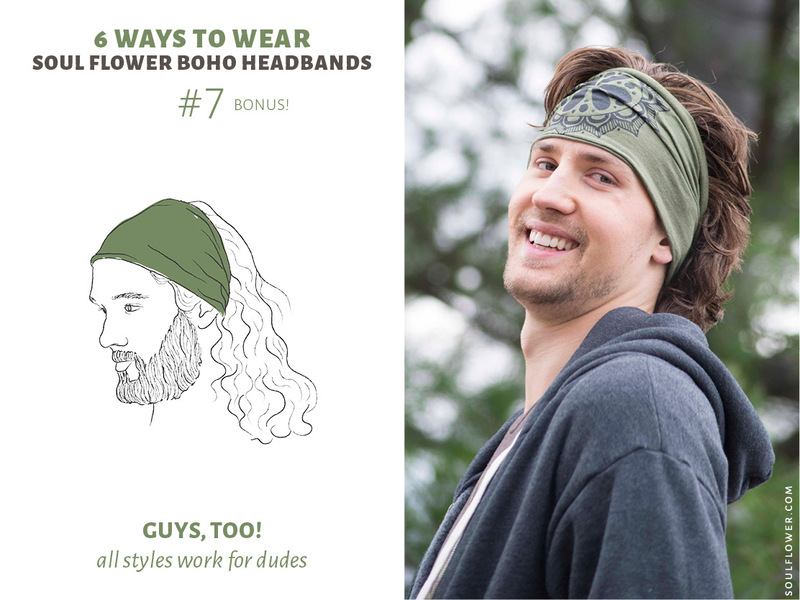 Slip headband over your head onto your bare neck, then leave it there! Great for a pop of color or catching sweat. And if you need it later, you’ve got a headband ready to go! Simple, classic headband style with a few bangs or front hairs peeking out. 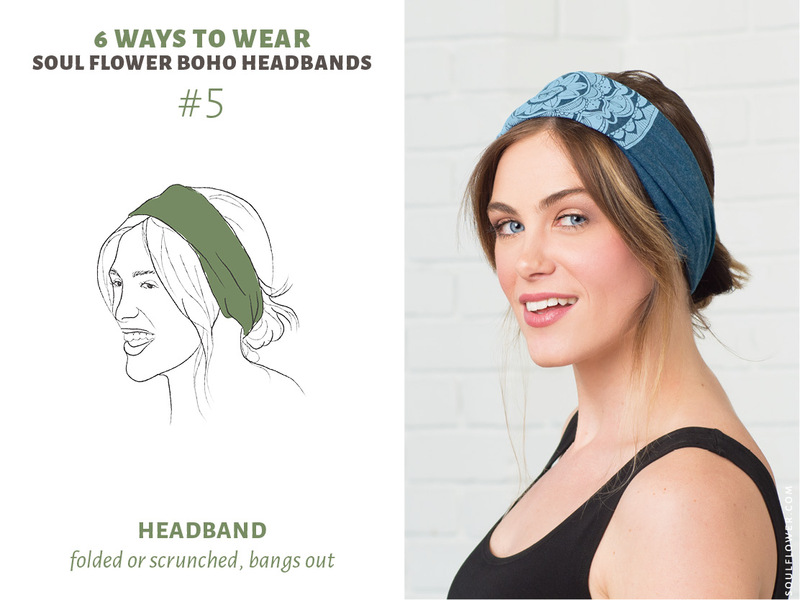 Neatly fold headband to show off the print, or scrunch it. This style works well with high or low ponytails or buns. 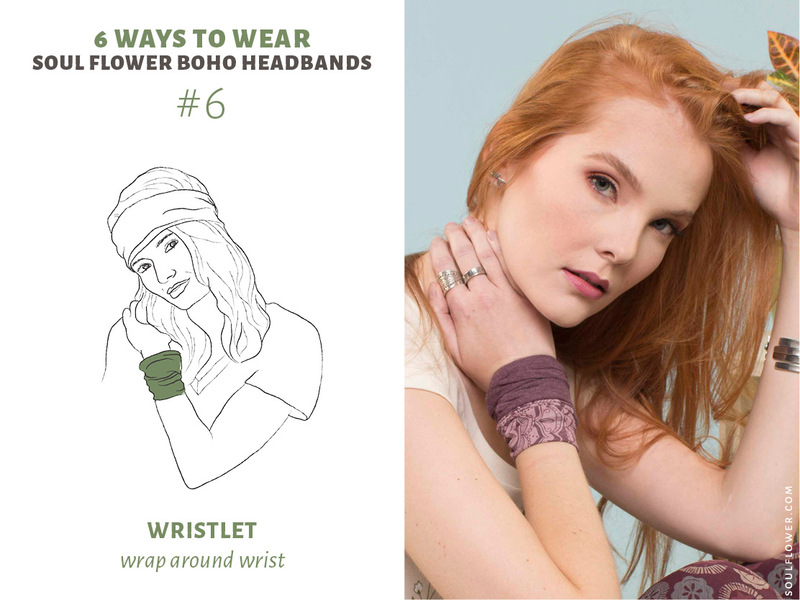 Wrap headband around your wrist as a sweatband. It’s also a cute and comfy color pop accessory! Layer with other bracelets for a unique boho look. All these styles work for guys as well. 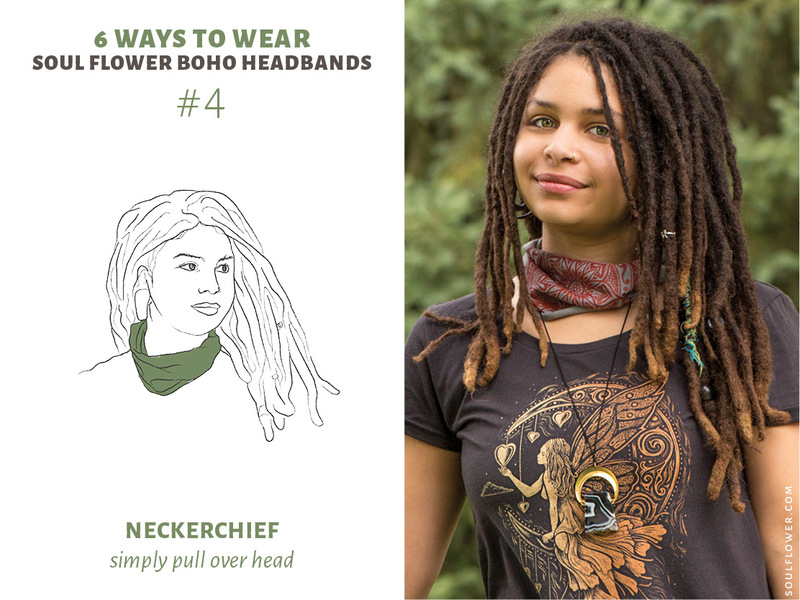 We especially like Sweatband and Neckerchief styles for our guys. What do we recommend to complete your look? Try our Boho Skirts, Boho Necklaces or Yoga Tanks ! 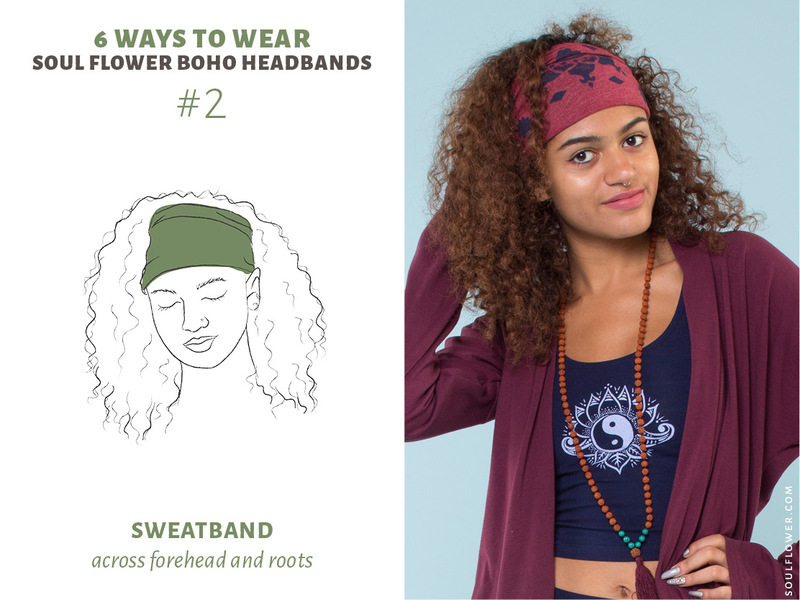 What’s your favorite way to wear Soul Flower’s boho headbands?